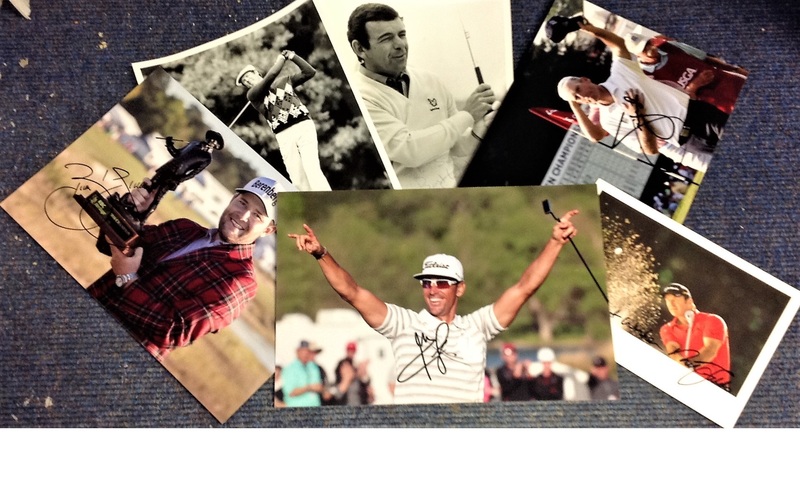 Golf collection 6 colour and b/w photos from some well-known players from Europe and the USA signatures include Nick Faldo, Tony Jacklin, Tom Weiskopf, Rafa Cabrera Bello, Branden Grace and Jim Furyk. Good Condition. All signed pieces come with a Certificate of Authenticity. We combine postage on multiple winning lots and can ship worldwide. UK postage from £3.99, EU from £5.99, Rest of World from £7.99.